Home » Languages » Is Chinese New Year Over Yet? Is Chinese New Year Over Yet? I was talking with my foreign student about Chinese New Year on the 9th day of Chinese New Year. Student: Chinese New Year is over already. Although he did not answer but his look was full of disbelief. School has resumed and River Hongbao has just ended, but Chinese New Year is not over yet? I explained that Chinese celebrate Chinese New Year for 15 days and I saw a face with more disbelief. I further explained that nowadays we do not really celebrate for 15 days, but within these 15 days, we can still visit our relatives and children can still get red packets (红包). Today is the last day of Chinese New Year, it is called 元宵节. Once upon a time, Chinese lighted lanterns on the last day of Chinese New Year to wish for health, wealth, harmony in family, child, etc. Thus, 元宵节 is also called 灯节 (Lantern Festival). It was the only day of the year when the ladies can come out and join the festival (Ladies were not allowed to go out from the house in ancient times). This is why 元宵节 is also denoted as Eastern Valentine’s Day because the men can meet the ladies on that particular day of the year only. 1. 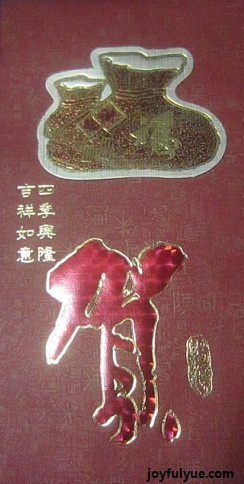 天界 — On lunar calendar 15th January, it is called 上元节. People pay respect to the God who is in-charge of Sky World and make wishes. 2. 地界 — On lunar calendar 15th July, it is called 中元节. People pay respect to the God who is in-charge of Ground World (or another name: ghosts). 3. 水界 — On lunar calendar 15th October, it is called 下元节. People pay respect to the God who is in-charge of Water World. 下元节 is seldom heard because we do not celebrate it anymore. Today is the last day of Chinese New Year, do you have relatives or friends whom you have not wish them 新年快乐 yet？Wish them now before the last day of Chinese New Year is gone! By Wendy in Languages on 14/02/2014 .